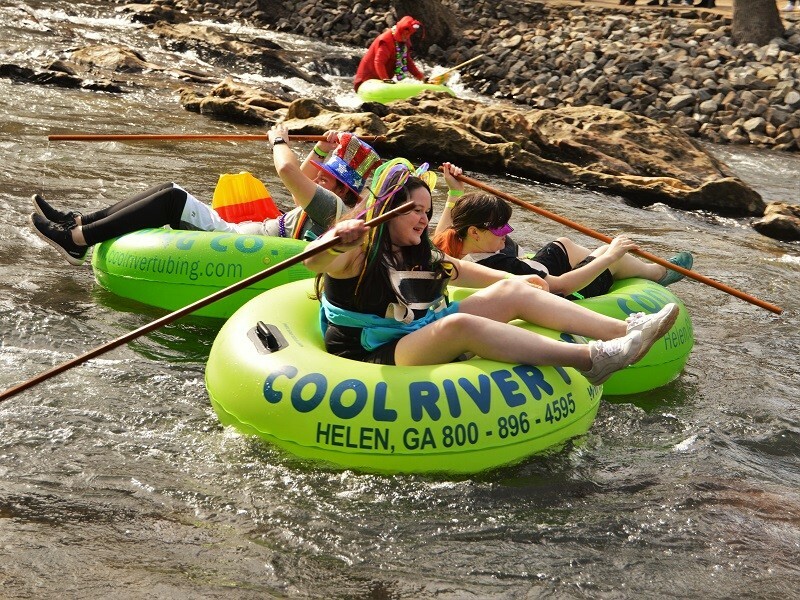 Tubers brave the rapid current of the Chattahoochee River for the Fasching River Parade through Helen. 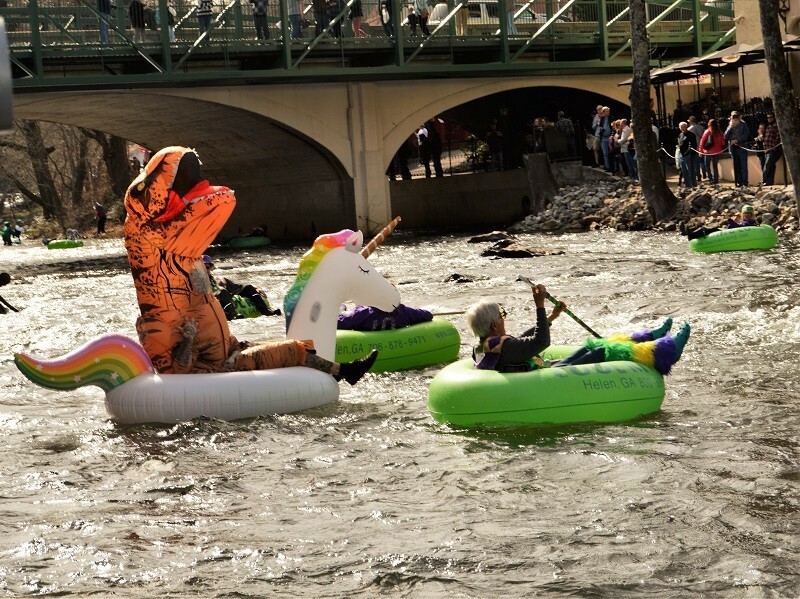 The Fasching River Parade is a family friendly event. 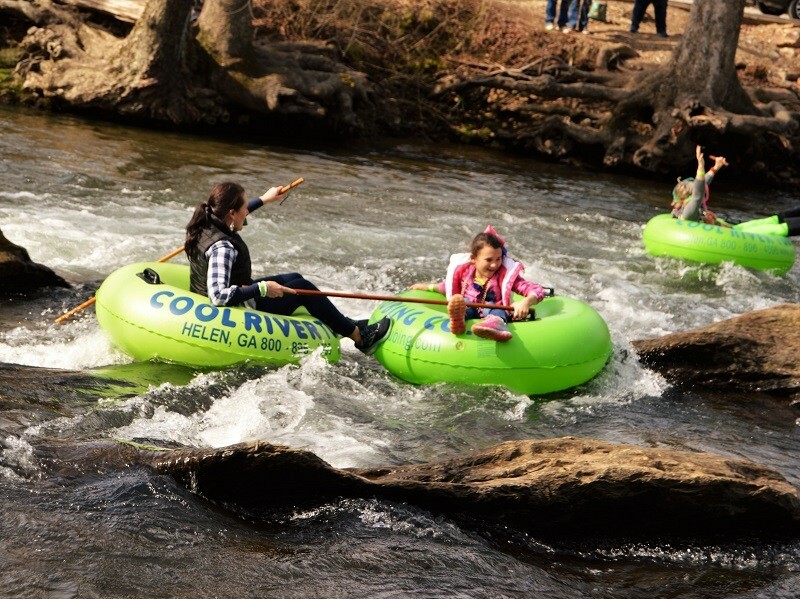 Some of the roughly 70 tubers make their way down the Chattahoochee River between Café International and The Troll Tavern in downtown Helen. 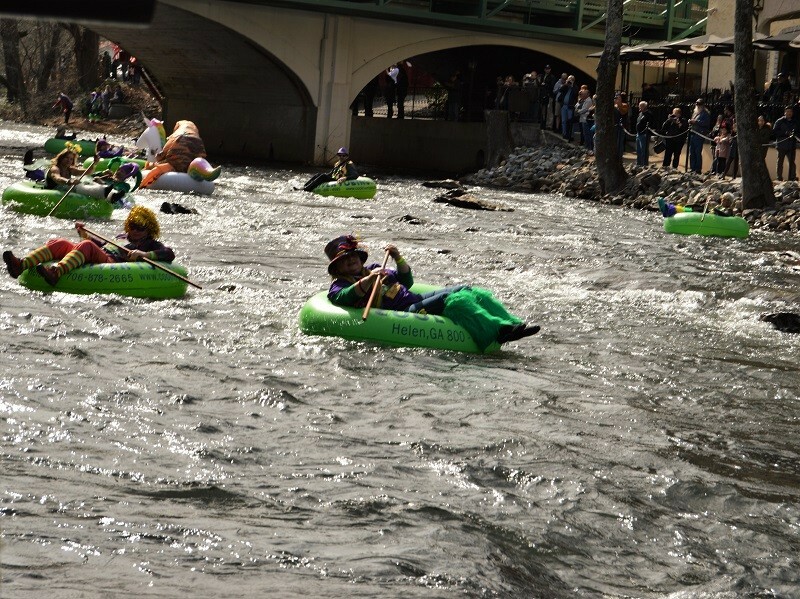 Tubers prepare for the rapids near the Helendorf Hotel. 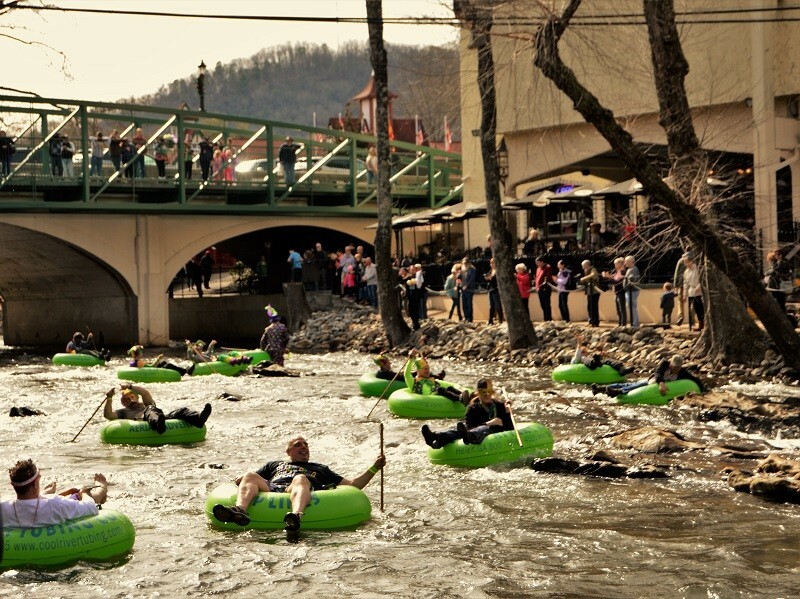 People gather to watch the Fasching River Parade through Helen. 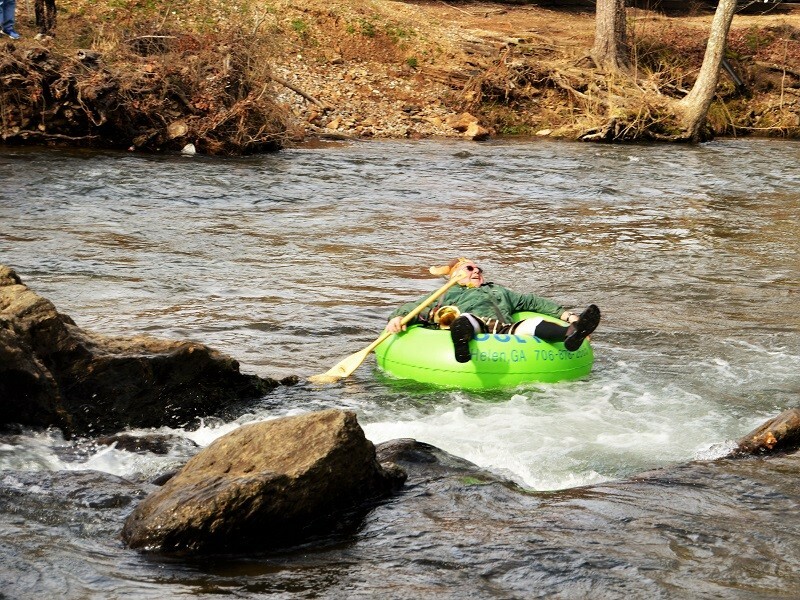 Jane Sims of the Faschingsverein Helen and other tubers navigate the Chattahoochee River in Helen on Saturday. 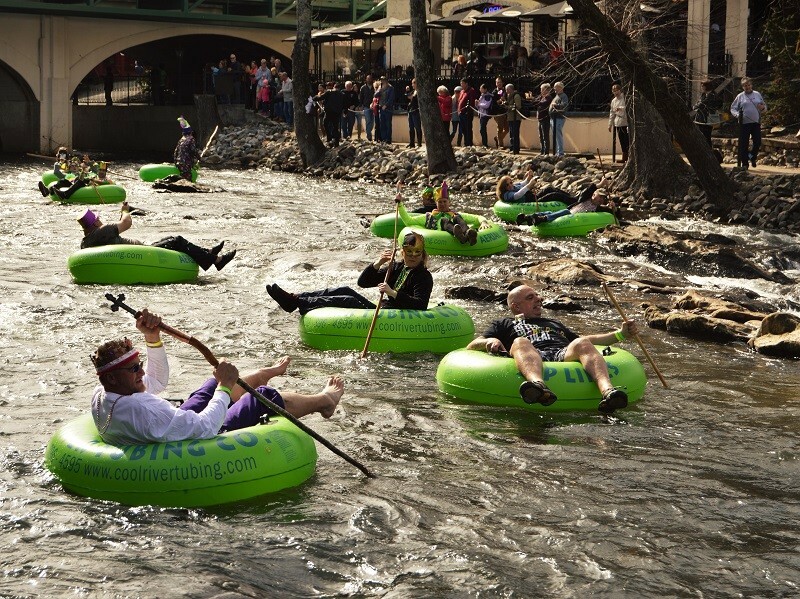 Catherine Cleiman and others gather behind the Helendorf to watch the Fasching River Parade. 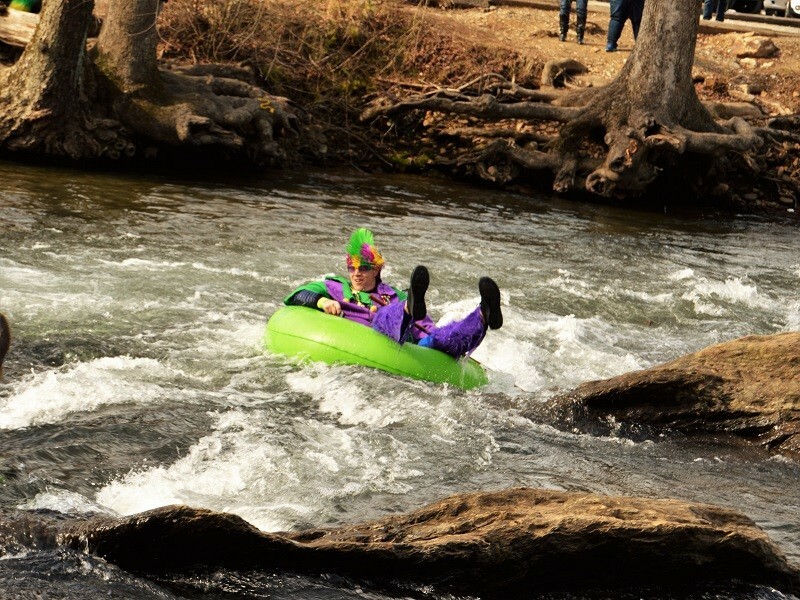 A number of the roughly 70 tubes make their way down the Chattahoochee River in Helen as part of the Fasching River Parade. 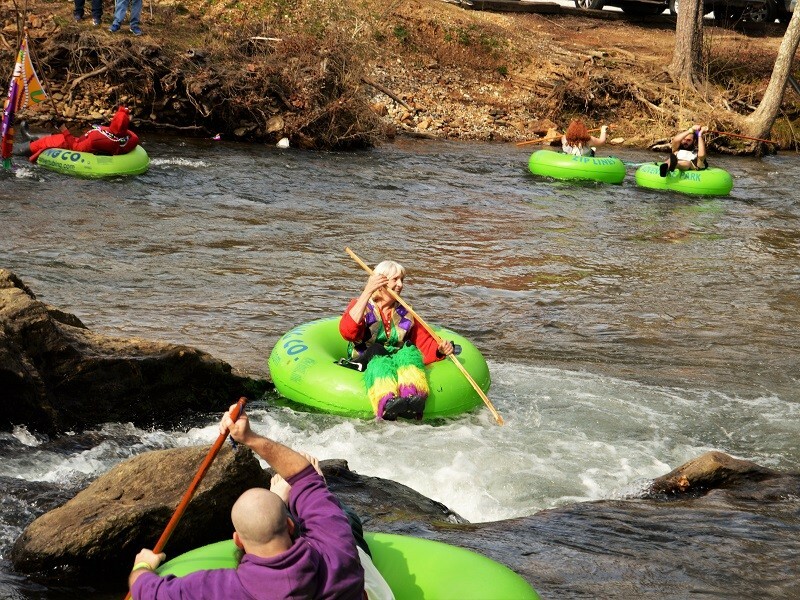 The Fasching River Parade draws some six dozen tubers to the waters of the Chattahoochee River in Helen. 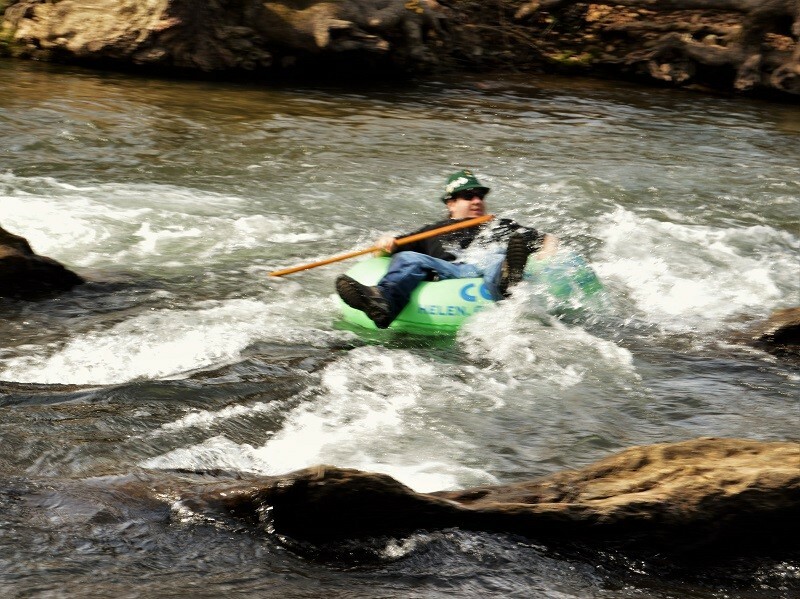 Walt Snyder of the Faschingsverein Helen River Rats relaxes after fighting through a sink between the rocks in the Chattahoochee. 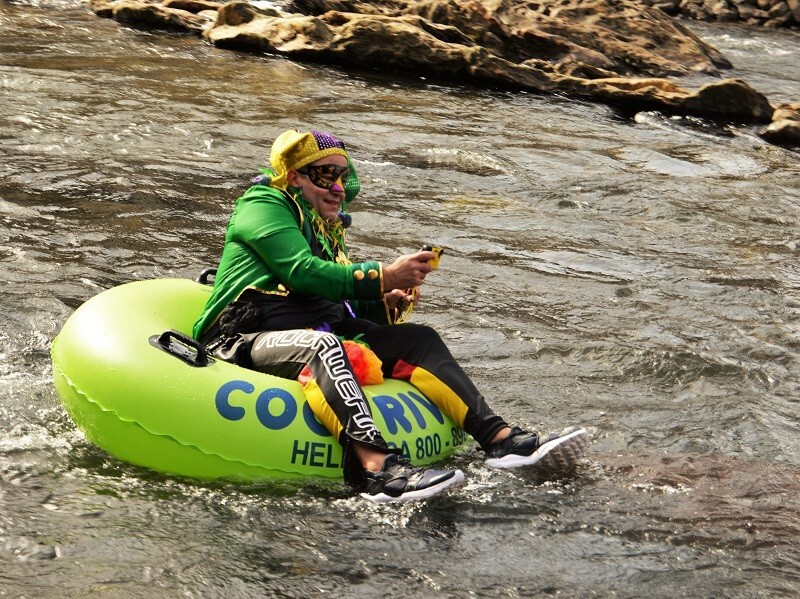 Costumed tubers brave faster-than-normal currents in the Chattahoochee through Helen for the Fasching River Parade. 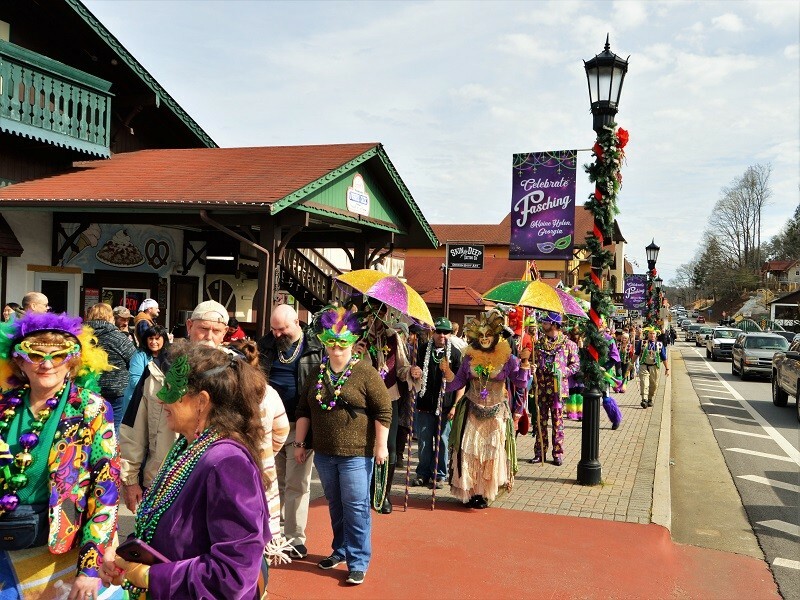 Participants in the Fasching Sidewalk Parade cross Main Street (Ga. 75) in downtown Helen Saturday afternoon. 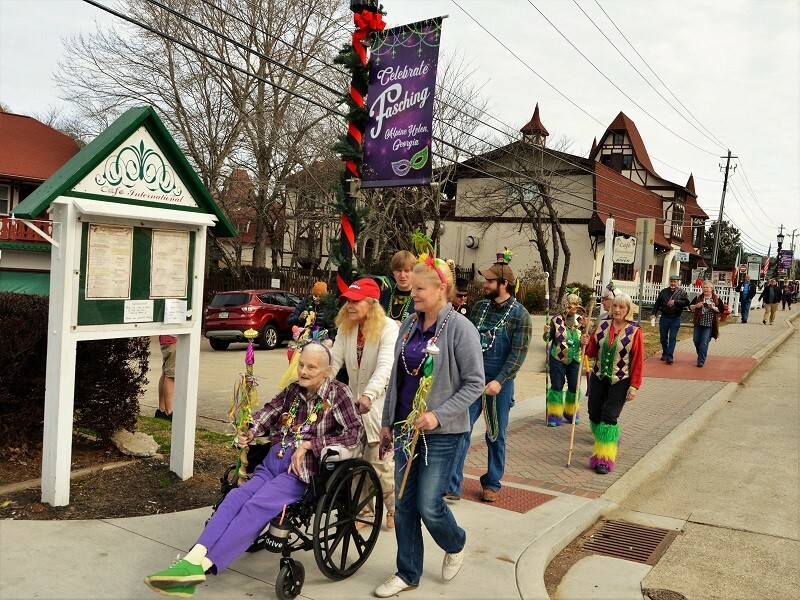 Faschingsverein Helen leads Saturday's Fasching Sidewalk Parade through downtown. 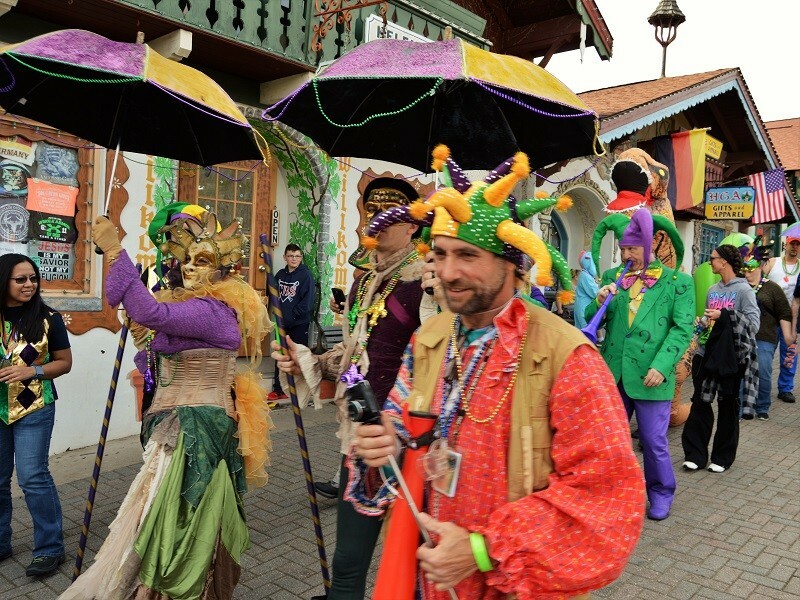 Color costumes are an integral part of Fasching festivities in Helen. 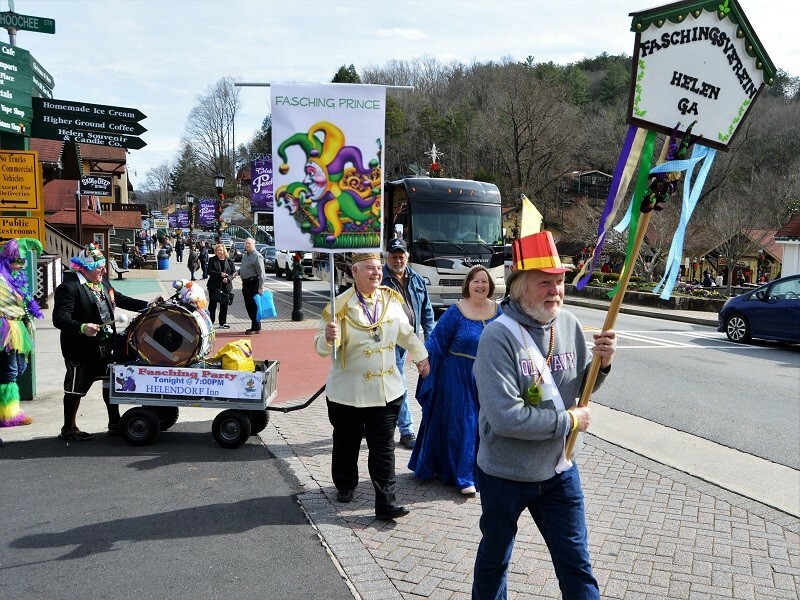 The Fasching Sidewalk Parade makes its way along the Marketplatz in downtown Helen. 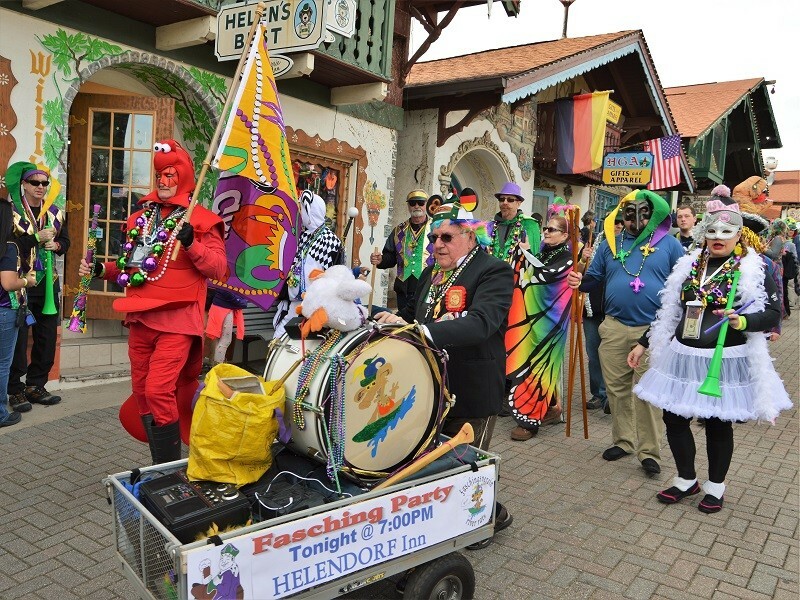 Walt Snyder of Faschingsverein Helen plays the drum during the Fasching Sidewalk Parade. 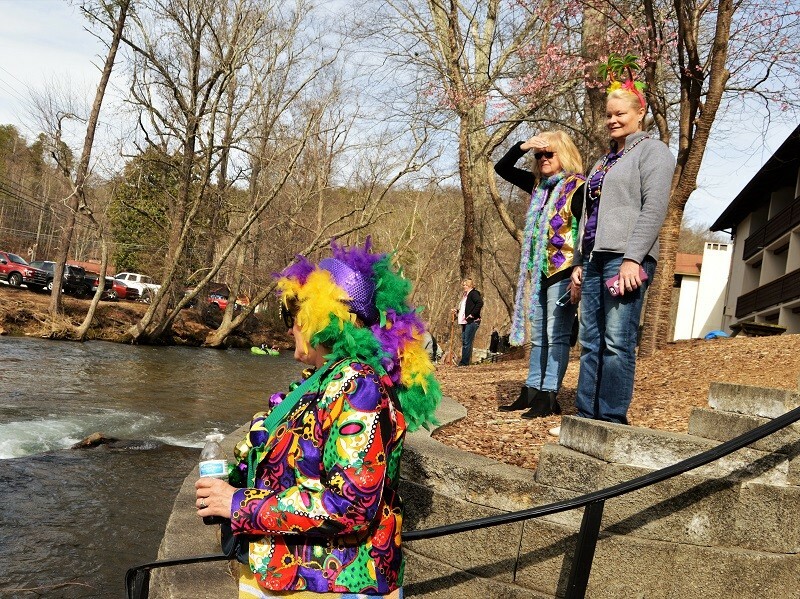 Fasching Sidewalk Parade participants make their way to the Chattahoochee River for the Fasching River Parade. 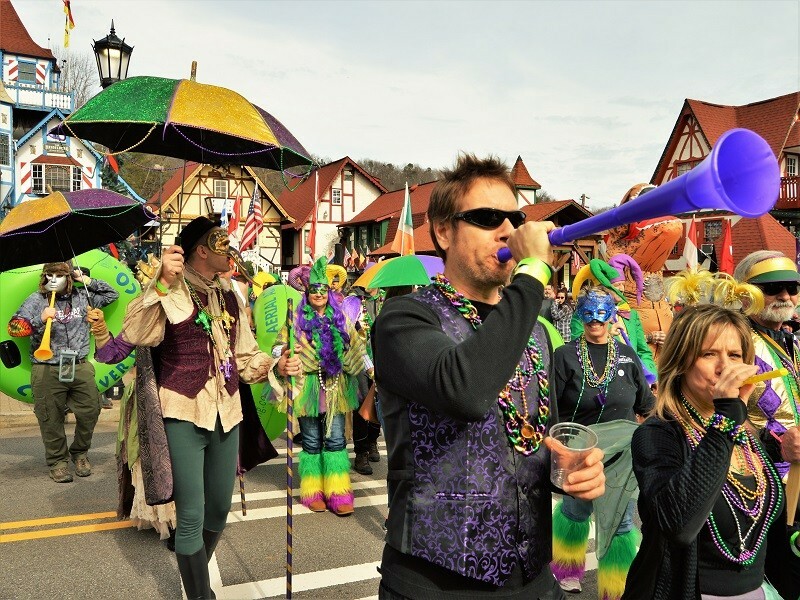 Fasching Sidewalk Parade participants, led by drummer Walt Snyder, cross Main Street (Ga. 75) in downtown Helen. 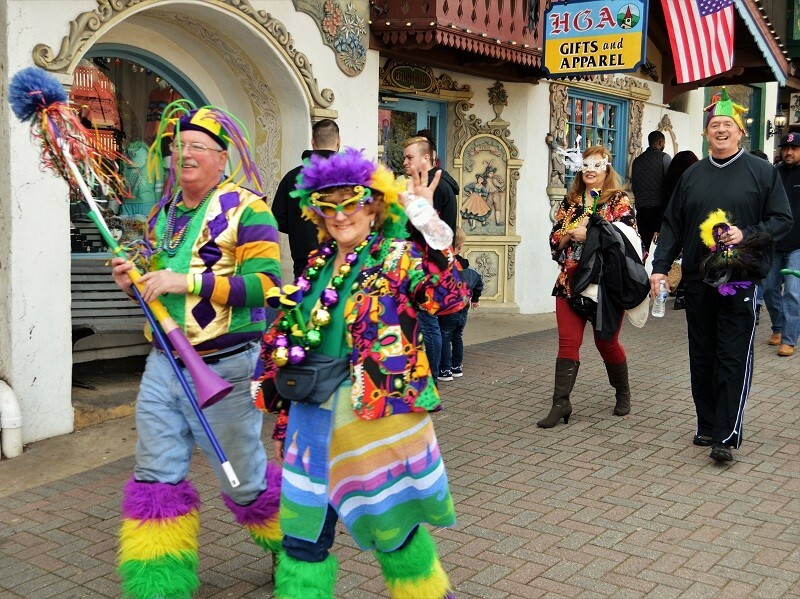 Colorful costumes are an important part of the Fasching celebration in Helen. 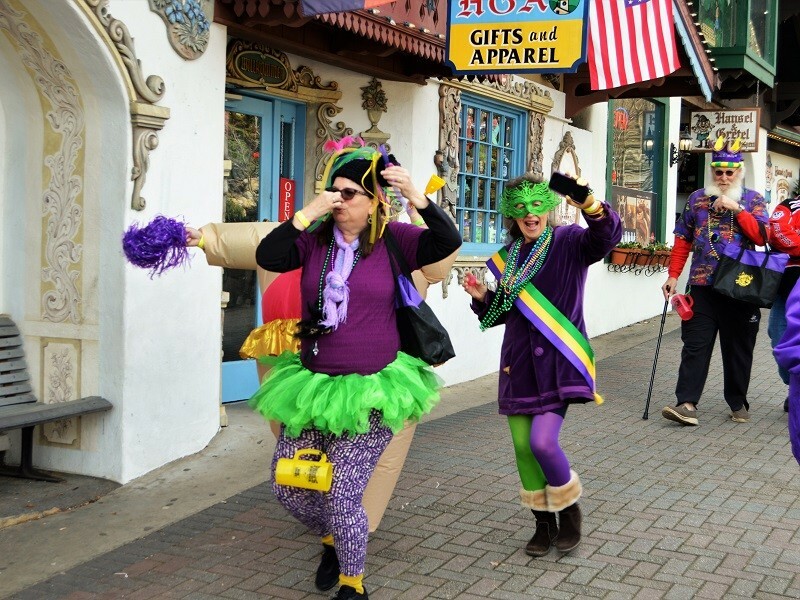 Fasching is a German Mardi Gras celebration. 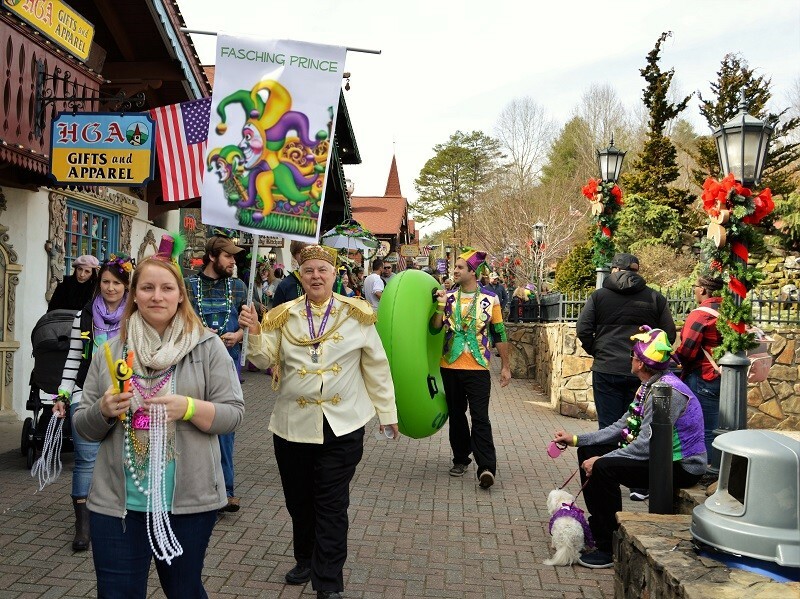 The Fasching Sidewalk Parade prepares to make the turn from Main Street onto Chattahoochee Strasse. 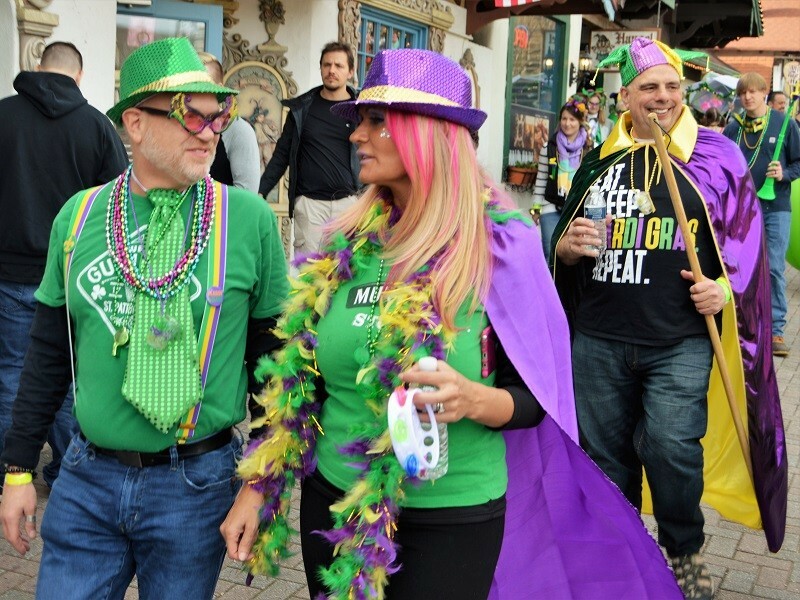 Fasching Sidewalk Parade participants pass Café International. 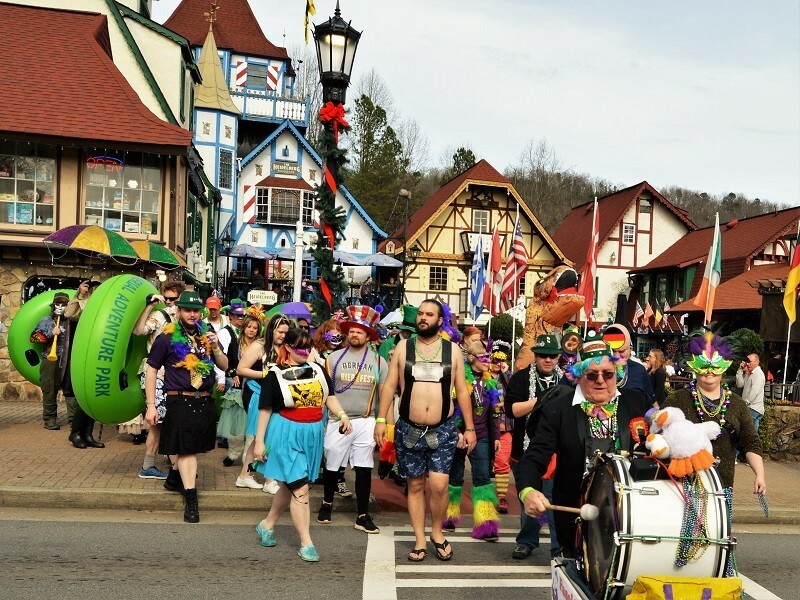 Fasching Sidewalk Parade participants practice holding their breath as they head to the Chattahoochee River for the Fasching River Parade.